We love the thought that your child will take up a musical instrument and enjoy it for the rest of their lives! 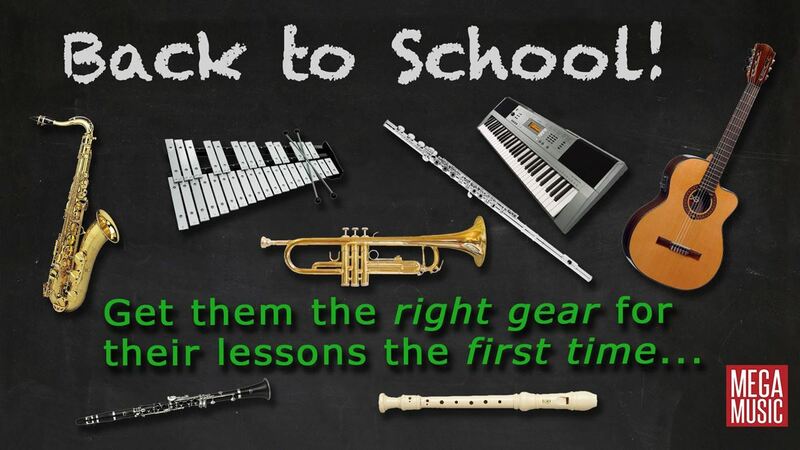 It's important to remember that schools typically require an approved quality instrument and we have the team that can help match your child to the correct instrument. But what happens if the child changes their mind, wants to try a different instrument, or do something else? What happens to your investment? That is where RENTING can help. Mega Music has teamed up with Studio 19 which makes renting an instrument EASY. Just come into a Mega Music store and we can get your child matched to the best instrument for their program (SIMS/IMSS) and then we'll set you up with Studio 19's simple approval process. You'll have the peace of mind in case there is a change of mind! And if they love it, you can apply to buy at any time. For any more information on renting an instrument, or what musical instruments may be suitable for your child, feel free to ask us!